GALION — Here’s one last reminder to pack up the kids and head to Historic Uptowne Galion on Saturday for the annual Come Home to Galion Celebration. The weather, as of Tuesday morning, seems ideal for an outdoor winter celebration. It will be partially sunny, chilly in the morning with a low around 30. But the high during the day will be about 47. According to weather.com, there is just a 10 percent chance of rain Saturday. There are events scheduled throughout the day, starting at 8 a.m. when kids can enjoy a Breakfast with Santa at the Galion Depot Pavilion. The afternoon will be highlighted by the parade at 4:15 p.m., followed by the tree-lighting ceremony shortly after the parade ends. The evening concludes with a special showing of an all-time popular holiday movie. The Polar Express Experience starts at 5:30 p.m. at Galion Community Theatre. Unfortunately, this event is already sold out. Merchants in the uptown area will be open and visitors to the downtown area are encouraged to stop in and visit these locally-owned establishments. Here is a schedule of some of the events on Saturday. This is a family-friendly activity encouraged to get more Galionites and area resident to visit the downtown area. 11 a.m. — Reindeer Dash, a reindeer-themed relay race between Market and Union Street. Some reindeer-themed accoutrements will be available to participants, who are encouraged to dress in their brightest holiday-gear. 1 to 3 p.m. — Ice sculpting, carriage rides, live nativity, letters to Santa, cookie decorating sponsored various downtown businesses and establishments. There also is Moana Luau Party at the Gill House. 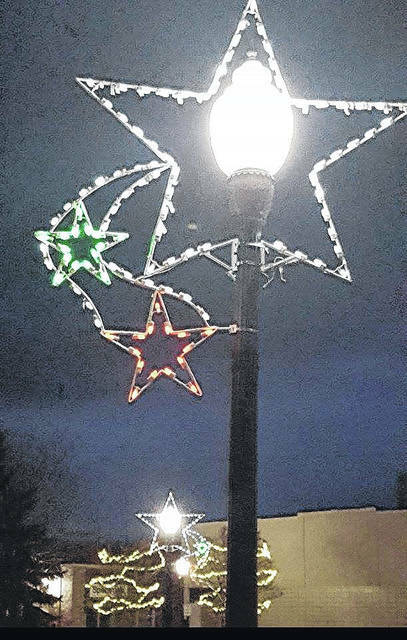 1 to 4 p.m. — Entertainment at the gazebo; food provided by local churches; an annual holiday open house, entertainment and other events at Galion Public Library; Brownella College will be open for tours and more. 4:15 p.m. — Parade through Uptowne from Union Street to Washington Street, ending at the Galion Depot. For a more detailed schedule of events scheduled Saturday in conjunction or scheduled around Come Home to Galion, visit the Experience Galion Come Home to Galion Facebook Page. Galion Inquirer file photo Rebecca Farson and Collin Bowser portrayed Mary and Joseph during a live nativity near Brownella Cottage during the 2017 Come Home to Galion Celebration. This year’s holiday celebration is Saturday. A live nativity is just one of many special events scheduled throughout the day. 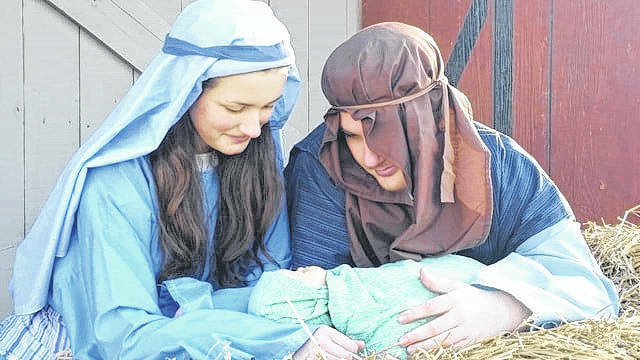 https://www.galioninquirer.com/wp-content/uploads/sites/38/2017/11/web1_Decorate.jpgGalion Inquirer file photo Rebecca Farson and Collin Bowser portrayed Mary and Joseph during a live nativity near Brownella Cottage during the 2017 Come Home to Galion Celebration. This year’s holiday celebration is Saturday. A live nativity is just one of many special events scheduled throughout the day.